I solemnly swear that MAC isn't paying me to write about their lipsticks, but I can't resist all their collabs. 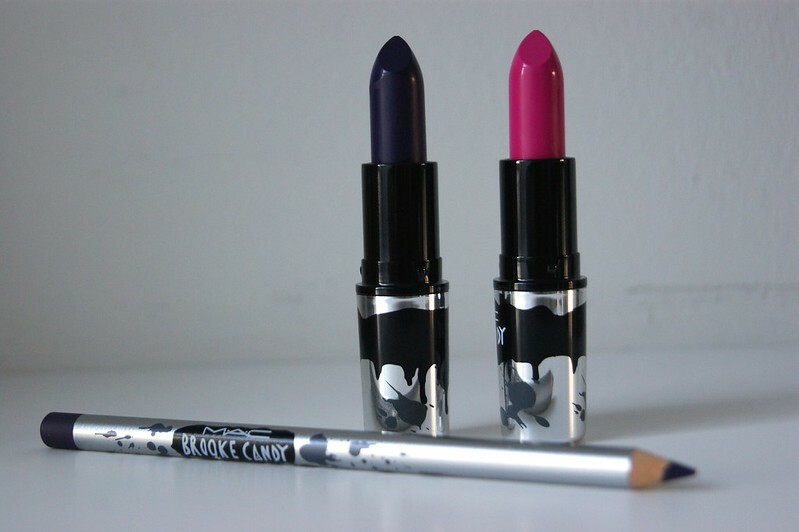 MAC and Brooke Candy are collaborating for the second time and I ordered some goodies online. Even though her collection goes from nail polishes to eyeliners, I 'only' got two lipsticks and a lip pencil. The two lipsticks I got are Witching Hour and Doowop and the lipliner is called Night Crawler. To read more and see the lipsticks on my lips, click below. Doowop and Witching Hour sell for € 21,50 and Night Crawler sells for € 17. All info and prices available on the MAC website. The MAC x Brooke Candy collection is still available online in Belgium. The lipsticks come in silver bullets with black and grey splatters on them, which gives them an edgy touch. The same goes for the lip pencil. I love these limited edition packagings, since you don't have to go through your complete stash to find the lipstick you want. These pop out immediately. 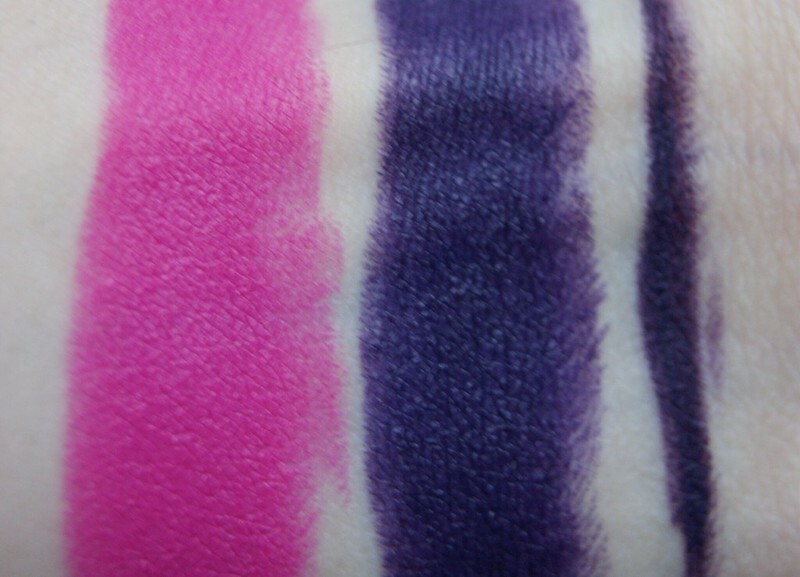 Doowop is a bright pink / magenta / fuchsia lipstick with a blue undertone. Even though MAC described it as a matte lipstick, it has a satin finish. The picture above was taken after biting into a tissue. I used MAC's Candy Yum Yum lip pencil to outline my lips and for touch ups. 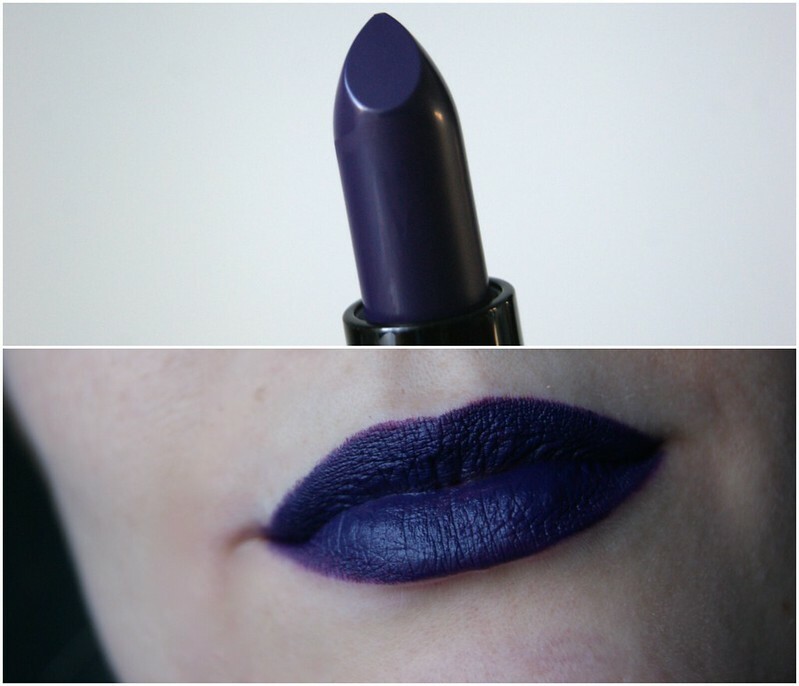 Witching Hour is a rich, deep purple color, which is perfect for winter or for a night out. 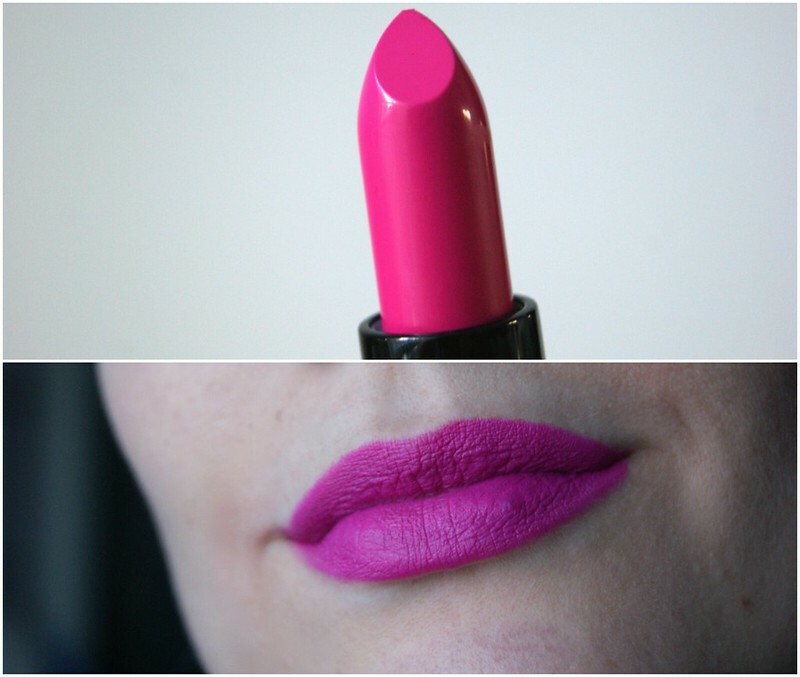 It also has a satin kinda finish - even though it's labeled as a matte lipstick - (why MAC? WHY?) and I have to say that it doesn't apply evenly if you're only applying the lipstick. It leaves some gaps here and there. However, it's an amazing color if you fill in the lips with a matching lip pencil first, like I did in the picture above. In this case, I used Night Crawler, of course -- and it seems to be the perfect match. Witching hour is my favorite! It really stands out. You look gorgeous! You follow all of the trends of the moment. Wow..I love the purple shade.. Simply the best.. Thanks for sharing.